In 2005, Viktor and Rolf entered the world of perfumes, creating a Flowerbomb, a kind of bomb filled with flowers. Then, in 2012, “after creating the most explosive female fragrance, men experienced a trace of jealousy.” That’s how Spicebomb perfumes were born. Efficiently functioning, this fragrance quickly became the bestseller of Viktor and Rolf. Even today, he discovers himself and takes us this time to a more nocturnal world. In conclusion, Spicebomb Night Vision intends to raise the temperature! 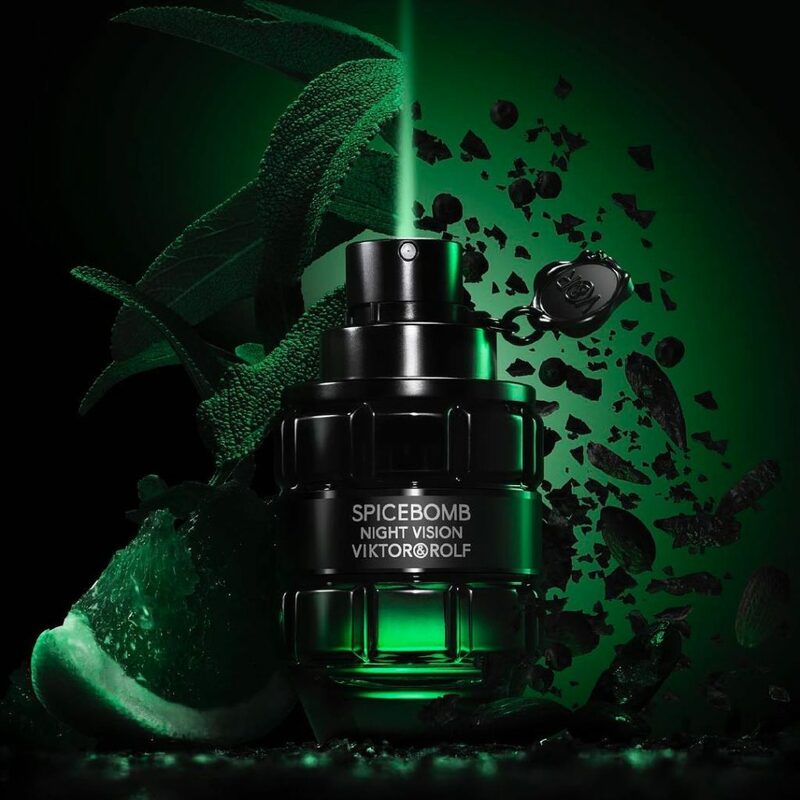 As before, Spicebomb Night Vision appears in a bottle with a grenade. His amazing bottle is a kind of unique and sophisticated seductive weapon that is accompanied by an artistic touch in perfect harmony with the style of Viktor & Rolf. 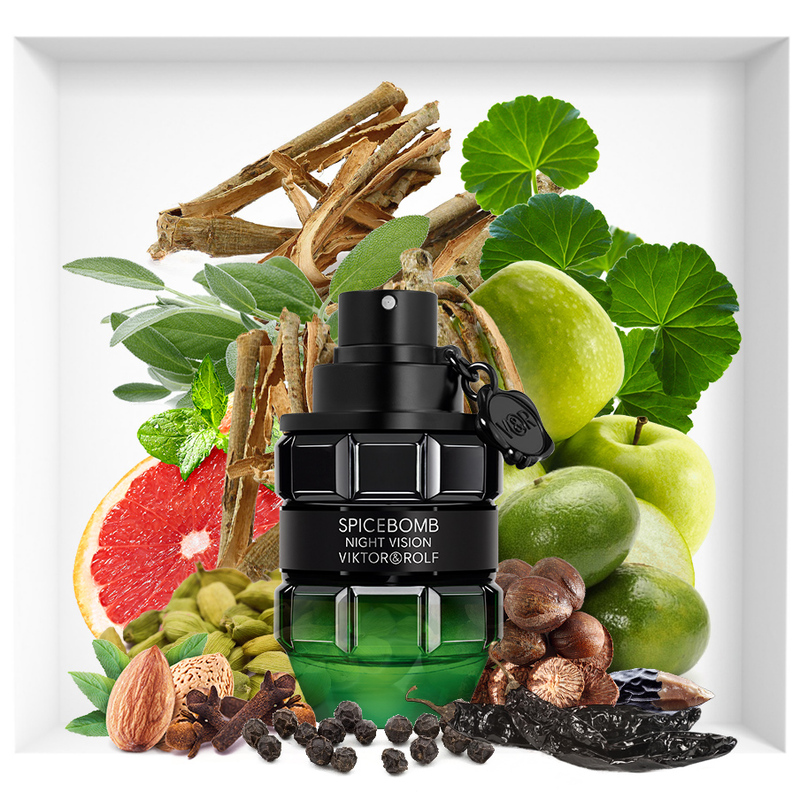 The clarity of the previous Spicebomb disappeared in favor of the magnetic green gradient towards the darker summit. Undoubtedly the night really took over Night Vision Spicebomb! To hold all the tension in this bottle, there is a black band inside.